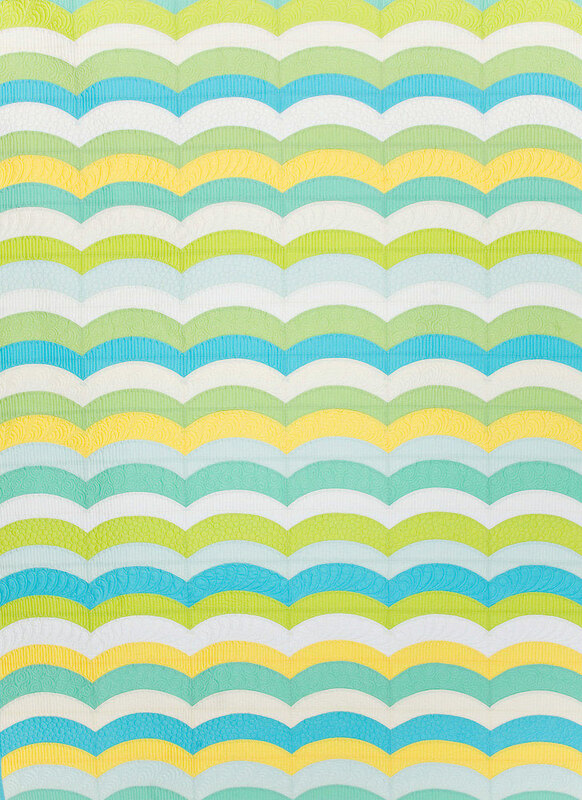 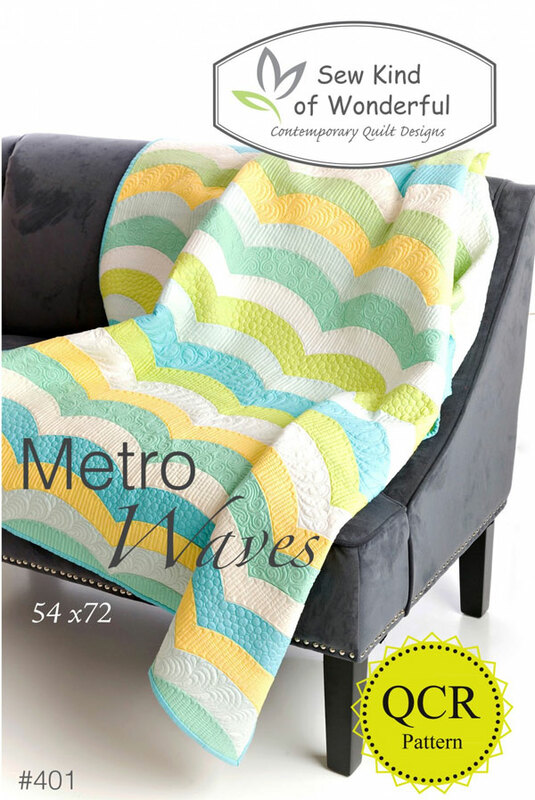 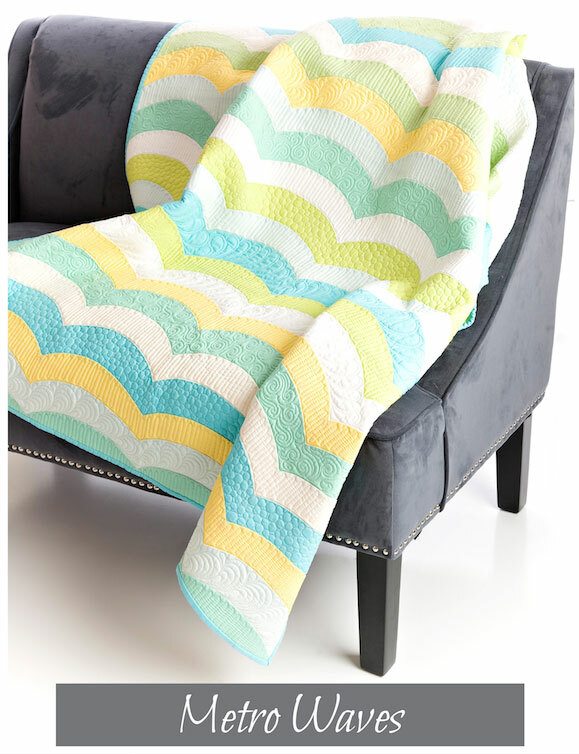 Use the Quick Curve Ruler (available for purchase separately and required) to make this fabulous, curvy-wave, contemporary quilt. 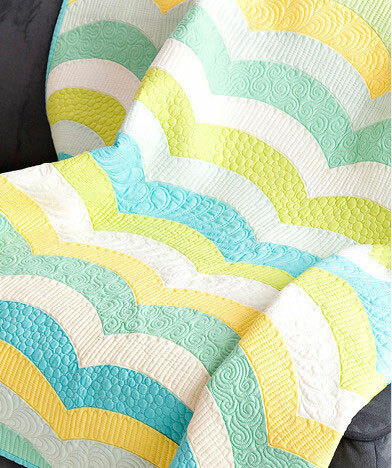 Finished size is approximately 54" x 72". 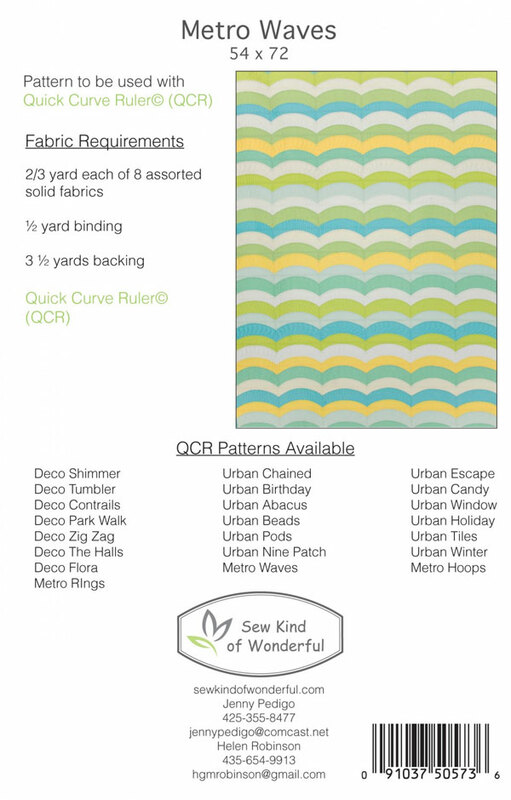 Click pattern back image above for information on required fabrics, etc.